George Hatem was born into a family of Lebanese descent in Buffalo, New York, in 1910. He was an extraordinary student from a young age. In 1933, after receiving his medical doctorate from the University of Geneva in Switzerland, he went to Shanghai with two classmates to learn more about tropical diseases and treating the needy. Hatem opened a clinic in Shanghai and lived a comfortable life. While living in the city, he learned about the Communist Party of China (CPC) through contacts with the expatriate community, including American writer Agnes Smedley and New Zealand writer Louis Eli, who became Hatem's lifelong friend. Later, Hatem met Soong Ching-ling, the widow of Dr. Sun Yat-sen, a revered revolutionary leader who played a pivotal role in overthrowing imperial rule in China. Soong often told Hatem about her opinions on the CPC and current affairs. In 1936, CPC leaders Mao Zedong and Zhou Enlai asked Soong to invite a foreign journalist and a foreign doctor to visit the CPC's headquarters in Yan'an in northwest China's Shaanxi Province. Soong recommended American journalist Edgar Snow and Hatem for the trip. In Yan'an, Hatem and Snow met with Mao and many other CPC leaders. They also paid visits to the CPC-led Red Army and local residents. Hatem immediately set up a clinic to deliver medical care. He conducted a physical examination of Mao, concluding the CPC leader was in very good health. After visiting other CPC-controlled areas, Hatem wrote a report on the medical conditions and gave suggestions on how to improve local health care. Hatem decided to stay in Yan'an after becoming fully acquainted with the CPC and its policies. He soon became a member of the CPC and was appointed chief medical advisor to the Red Army. Taking Zhou's advice, Hatem gave himself a Chinese name, Ma Haide, showing his determination to spend the remainder of his medical career in China. China started its all-out war of resistance against Japanese aggression in July 1937. The CPC and the Kuomintang later jointly established a united front to safeguard state sovereignty and national dignity. 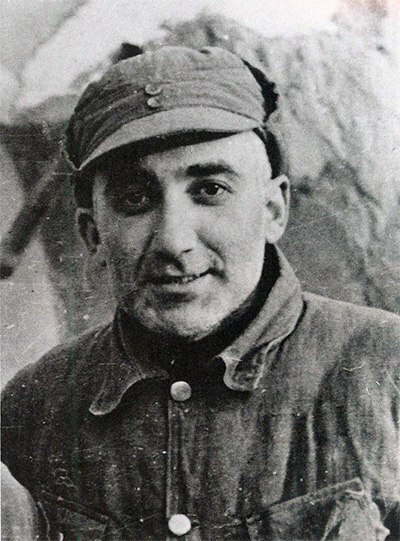 Together with his Chinese comrades, Hatem participated in the resistance against Japanese invaders. He often traveled to the frontlines of the conflict and treated Chinese soldiers and civilians. Upon returning to CPC headquarters, Hatem took on an additional role as the personal physician of CPC leaders. Despite living a hard life in Yan'an, Hatem remained optimistic and was eager to help people. Doctors were scarce and precious talent at that time in CPC-led resistance base areas. Hatem always undertook many jobs and met many people through his different roles. During his tenure as doctor at Yan'an Lu Xun Art School, he met Zhou Sufei, a Chinese woman who had fled from Shanghai when Japanese troops occupied the city in 1937. They soon fell in love and married in 1940 in Yan'an. At the end of 1937, Hatem was authorized to establish the first hospital in a CPC-led resistance base area in north Shaanxi. It was a brand new position and few medical supplies and equipment were available because of the war. The entire area had fewer than 10 well-trained doctors. Based on Hatem's advice, a central clinic and hospital were set up in Yan'an, which laid the foundation for medical and public health services across all resistance base areas. To address the medicine shortage, Hatem wrote letters to Soong urging her to seek international aid. With the help of Soong and her China Defense League, a number of international medical experts came to China to aid the country's people during the war, including Canadian surgeon Norman Bethune (1890-1939) and Indian surgeon Kwarkanath Shantaram Kotnis (1910-42). In March 1938, Bethune arrived in Yan'an as a member of a U.S.-Canada medical team. He died of his wounds on November 12, 1939. One of the Eighth Route Army military hospitals the Canadian surgeon worked in was renamed the Bethune International Peace Hospital. Medical services improved each year with help from both Chinese and international workers. Using the Bethune International Peace Hospital as a template, the CPC established eight more central hospitals and 24 branches in resistance base areas, which were equipped with a total of 11,800 sickbeds. According to records, Hatem diagnosed and treated over 40,000 patients from 1944 to 1947. Soong was satisfied with Hatem's work in the war. In a letter to Hatem, she thanked him for his efforts and contribution to the Bethune International Peace Hospital. Outside of his role as a surgeon, Hatem helped the CPC in its liaisons with the outside world. After the war broke out, the CPC Central Committee launched broadcasts in English to inform the world about the atrocities committed by the Japanese troops. Hatem was effectively the voice of the CPC overseas through his role as the first English-speaking consultant for Xinhua News Agency. He went straight to the Xinhua radio station after his daytime medical duties to broadcast the news. He also transcribed news items reported by foreign broadcasting stations, such as BBC. He then translated the English news into Chinese and sent it to CPC leaders as reference materials. 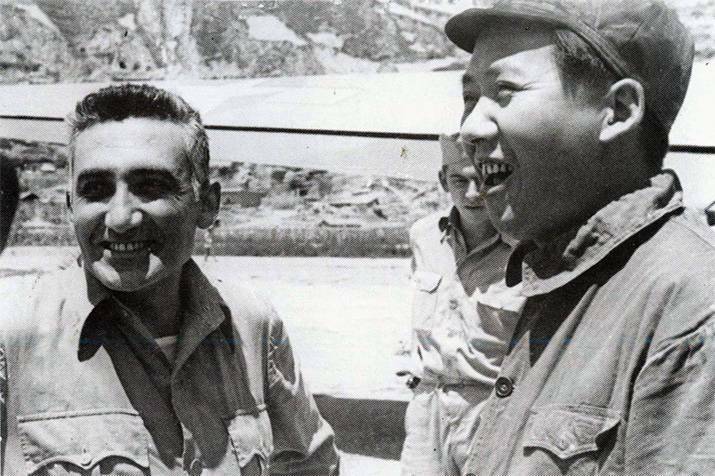 During visits by U.S. military observers to Yan'an, Hatem was appointed an advisor for foreign receptions. He interpreted and explained the CPC's ideas on Chinese politics and resistance against Japan's aggression to U.S. officers. By 1946, Hatem had spent 10 years in Yan'an. In 1950, a year after the foundation of the People's Republic of China, Hatem became a naturalized Chinese citizen. Over the remainder of his life, Hatem not only helped found the Central Institute of Dermatology and Venereal Disease in Beijing, but also researched the causes of leprosy and how to prevent the disease. In particular, he worked to advance the cause of medical research and deliver medical care to remote areas. Hatem passed away in Beijing in 1988. His last words revealed a sense of peace, "I have nothing to regret. I have tried my best to serve the people in my life." 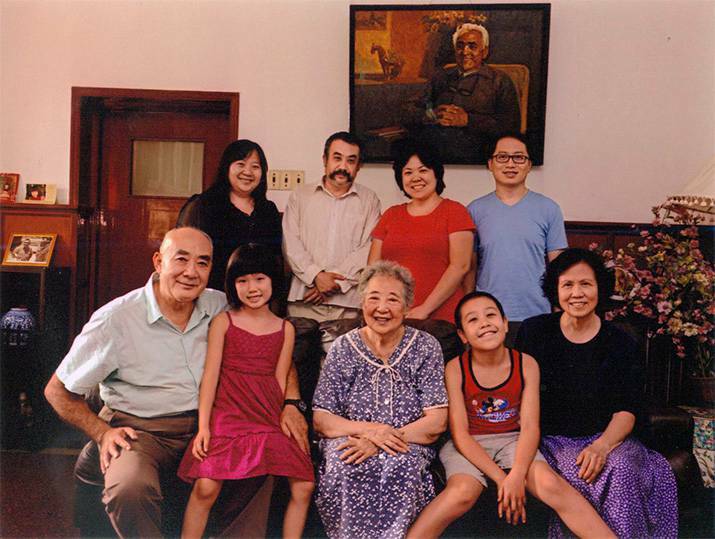 Zhou Youma, the son of George Hatem and his wife Zhou Sufei, was born in Yan'an in 1943. After graduating from Beijing Film Academy, he worked as a journalist for China Today magazine. He also served as Soong Ching-ling's personal photographer for 10 years. Zhou remains active as a senior journalist. He is also director general of the Ma Haide Foundation and a member of the Committee of Foreign Affairs of the National Committee of the Chinese People's Political Consultative Conference, the nation's top advisory body.